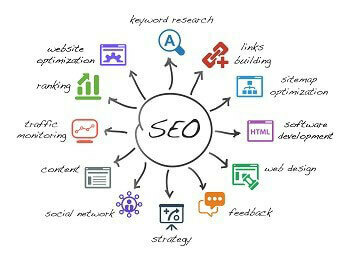 Search engine optimization or SEO is a necessity for creating any successful website. Your site needs to appear in search engine results pages to drive traffic, which is where SEO comes into play. It’s wise to research to learn a bit about what SEO is and how it benefits you, but hiring an SEO consultant might be the smarter decision. A professional knows how to use SEO to market and can improve the results for your site by capitalizing on their experience and knowledge. The concept of SEO is straightforward, but how it actually works on the Internet is much more complicated to understand, which is why contracting someone else to do the job is a wise idea. How can hiring someone to do SEO help me? SEO professionals offer multiple packages that provide a variety of services, but promises are empty if they don’t deliver. Here are some of the advantages of using an experienced individual to carry out your SEO. What services will a consultant provide? Packages vary from one consultant to another, but the following services should be included in any package that you select. What is included in the initial price? Do other services cost extra? Do they offer other beneficial services such as analytics, e-mail marketing campaigns, or managing social media platforms to increase results? SEO is essential for all business owners to be successful. Selecting someone with experience and knowledge of the constantly changing formula is key to seeing results.